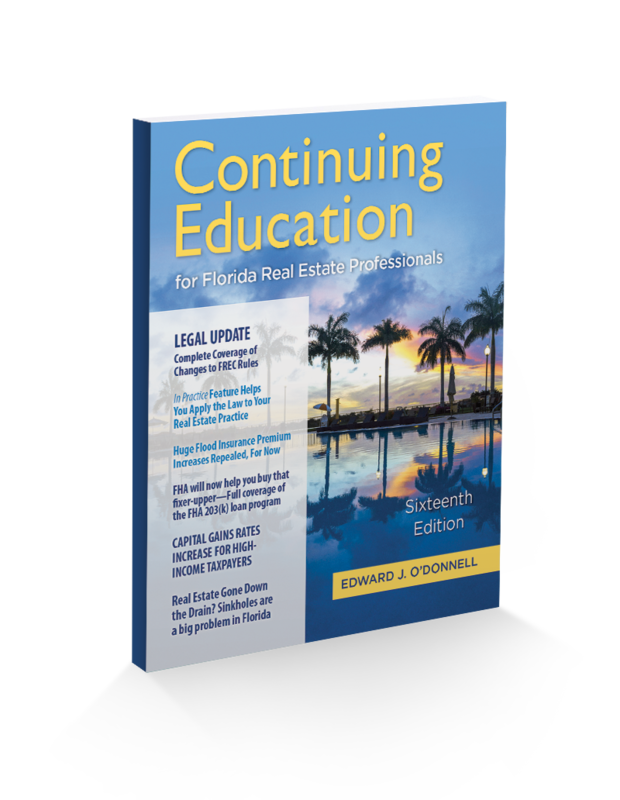 This updated version has the most recent changes to Florida law and FREC rule changes. Topic coverage includes the National Flood Insurance Program and more. 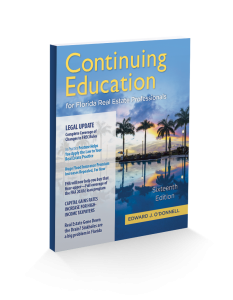 This course is a popular, interactive approach to the 14-hour CE course, offering timely and critical information to licensees in short, lively chapters, with interspersed practice questions. The Forms-to-Go section makes important forms readily available to licensees. The final exam is a bank of 150 questions that is set to present five unique 30-question exams. Each question has a review link that simulates an “open-book” exam.